KANATA, Ontario, December 6, 2017	(Newswire.com) - HubStor, the intelligent cloud archive, today announced the availability of optical character recognition (OCR) support for images stored in HubStor. Customers can now search within scanned documents and standard image formats such as TIFF, JPEG, PNG and multi-page PDF files. 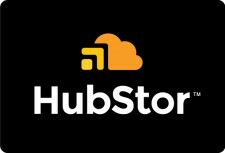 HubStor also lets customers apply OCR indexing to particular datasets within their cloud archive so that clients are not required to incur the cost of OCR processing entire corpus of content. Instead, customers can restrict OCR processing to specific folders, date ranges, file types or security permissions. Compliance - Organizations that need to comply with the E.U.’s General Data Protection Regulation (GDPR) will be able to identify personal data held within scanned documents and pictures and perform proper data governance practices to meet compliance requirements easily. Legal - Organizations with eDiscovery requirements have a more comprehensive searchable archive. IT and Datacenter and Transformation - IT teams operating under datacenter transformation mandates can replace legacy OCR practices on-premises with HubStor’s fully managed Software-as-a-Service (SaaS) approach. HubStor is an intelligent secondary storage solution available as Software-as-a-Service (SaaS) in the Microsoft Azure cloud platform. With a global customer base, enterprise clients use HubStor for secure cloud archiving, hybrid cloud file servers, Office 365 backup, ransomware recovery, legal hold and WORM compliance.